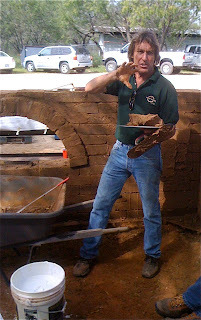 Jim Hallock is an engaging instructor and a man who's life was changed by natural building. This is excellent and inspirational training. He really knows what he is talking about. will there be another workshop? They have been having them twice a year for the past few years with good attendance so I'm guessing that there will be another one.